Everyone’s a star when you go 10-0. It’s just that some who shine do it more obviously than others. 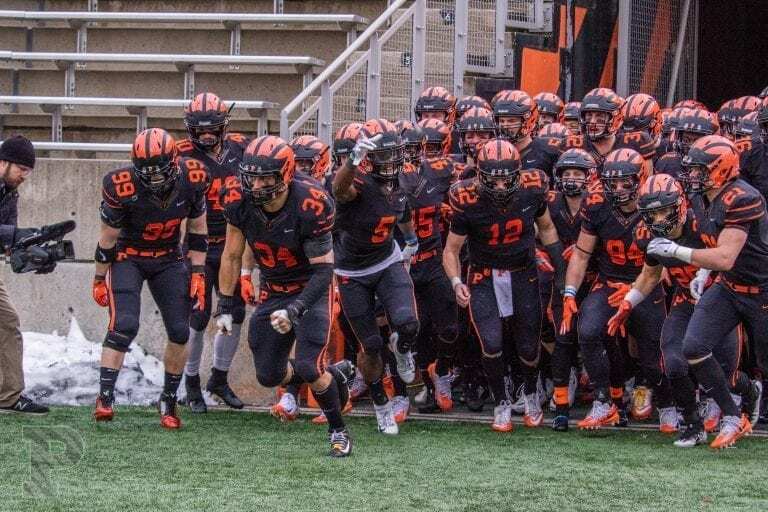 So while it hardly should be taken for granted that John Lovett, Jesper Horsted, and Charlie Volker were Tigers named on Tuesday to the 2018 first All-Ivy team, it’s a fact of football life that players who don’t touch the ball–or do so rarely–never are going to be candidates like the above for any offensive player of the year awards. So we’re going to start this celebration of the massive amounts of talent on the 2018 champion Tigers with a big grunt-out to three of the Tiger hole clearers and pass protectors also selected to the first-team—tackle Reily Radosevich, guard George Attea, and tight end Graham Adomitis. “‘I thought the guys played really well up front all year long,” said Coach Bob Surace, who was named Coach of the Year, also in a vote by the Ivy coaches, for directing his team to only the league’s second undisputed title in 15 seasons. Surace and his staff coached nine players onto the first All-Ivy team, six onto the second, and three gained honorable mentions. “You are not allowed to vote for your own guys,” said Surace. “So the other coaches showed great respect for how Graham blocks and the value of that role. We didn’t throw anywhere near as much this year as usual (Adomitis had just 10 catches) and when we did most of the balls were going to Jesper and Steve Carlson. In addition to the six offensive first-team honorees from an Ivy record-breaking attack, three defenders from a top five FCS defense also made the first unit.Linebacker Tom Johnson’s selection was a repeat, like Horsted’s and Lovett’s (from 2016 as the quarterback sat out last season with an injury). Linebacker Mark Fossati was well on his way to recognition in 2017 when he was lost for the year in the third game. Safety T.J. Floyd had six interceptions this season to put him on the first-team and his partner, Ben Ellis, the director of the defensive backfield, made the second unit. Sophomore Delan Stallworth, a second-team selection, added a third member of the secondary to this Pantheon, and Sam linebacker Jeremiah Tyler and rush linebacker Mike Wagner also were second-team choices. 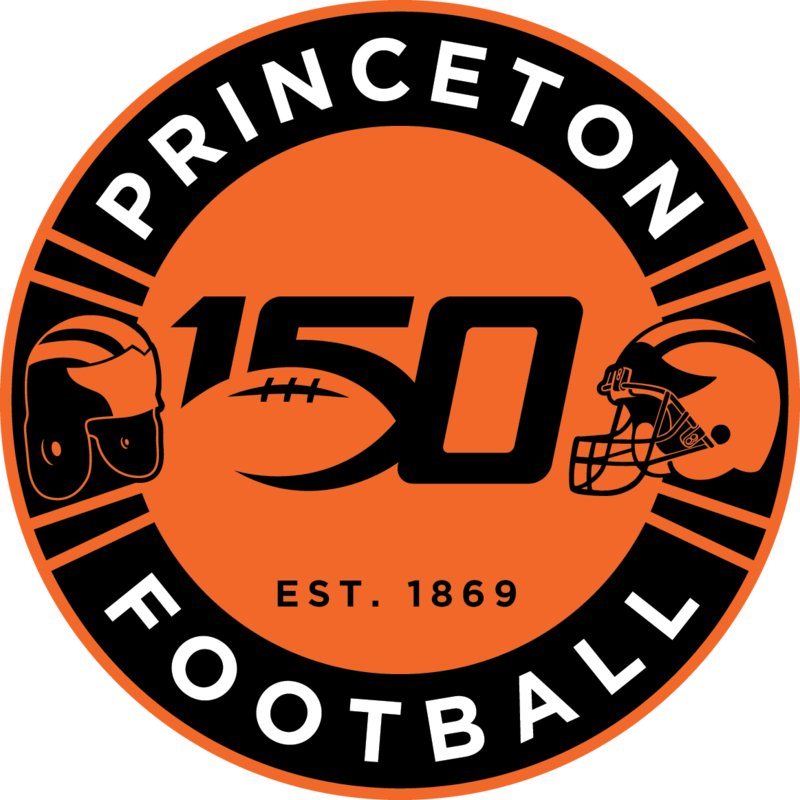 The 15 Princeton first and second-team choices were two more than were selected from the 2013 championship team and three more than compiled by the 2016 title club. “I said on the conference call (with the other coaches) that our three linebackers—and I’m counting Wagner, the rush linebacker, as really a defensive lineman–are our three best defensive players,” said Surace. “Those three guys–Fossati, Johnson and Tyler–were involved in practically every big defensive moment we had this year. “The inside backers–Mark and Tom–were so consistent and played the game so fast, they were the heart and soul of what we do defensively. “It’s hard to get three guys on the first-team, but J.T. is being recognized (second- team) as another guy who had big moments. He seemed to find the ball in critical situations. “Delan played through a significant ankle injury at the end of the year and never complained. I was really happy with how he played, which was really advanced for a sophomore. Defensive end Joey DeMarco and running back Collin Eaddy joined Deters in being honorably mentioned. “After having a guy fell on him in the Cornell game, Joey really grinded out those last three games on one ankle,” said Surace. “It was awesome to see the heart he had. Eaddy rode a 266-yard game in Volker’s absence at Yale to rare All-Ivy recognition for a non-starter. “We rushed for 295 yards a game and it was very balanced between Charlie, John, Collin and Ryan Quigley,” said Surace. “But in the Yale game Collin had one of the best performances of the year in the league by any player. Tiger Bech’s opportunities to return punts were limited but impressive, earning him a second team spot for a second straight year. Carlson caught 51 passes and five touchdowns, to earn second team again, too. It was a crowded roster of superior wide-outs, not just at Princeton, but also around the league. Unlike the other first-team receiver, Reed Klubnik of Yale–and Lovett and offensive lineman Matt Kaskey of Dartmouth–Horsted curiously was not a unanimous choice. “It’s voting,” said Surace. “Everybody has their opinion. There are people who think the world is flat. “Mariano Rivera, the greatest closer ever, is not going to be unanimous in the Hall of Fame voting (where there are a few voters who don’t believe anybody should be since Babe Ruth and Honus Wagner somehow were not in the first election in 1939). “Jesper is a legendary player. Every NFL scout that has come in for the last two years said that Jesper is better than (Penn’s Justin) Watson and Watson is a terrific player who is in the NFL (with Tampa Bay). Buddy Teevens’ Dartmouth team suffered only one loss–to Princeton by 14-9–and put 13 players on the first and second All-Ivy units. But the head coaches would have been off the rockers to not reward Surace for recruiting and developing an historic club in an increasingly talented league. He also won Coach of the Year in 2013.